It is officially SUMMER at my house!! School got out yesterday and we have been out enjoying the heat...slip n slide style! Then we head up to Breckenridge for five days on Sunday evening. We are SO ready for a vacation! 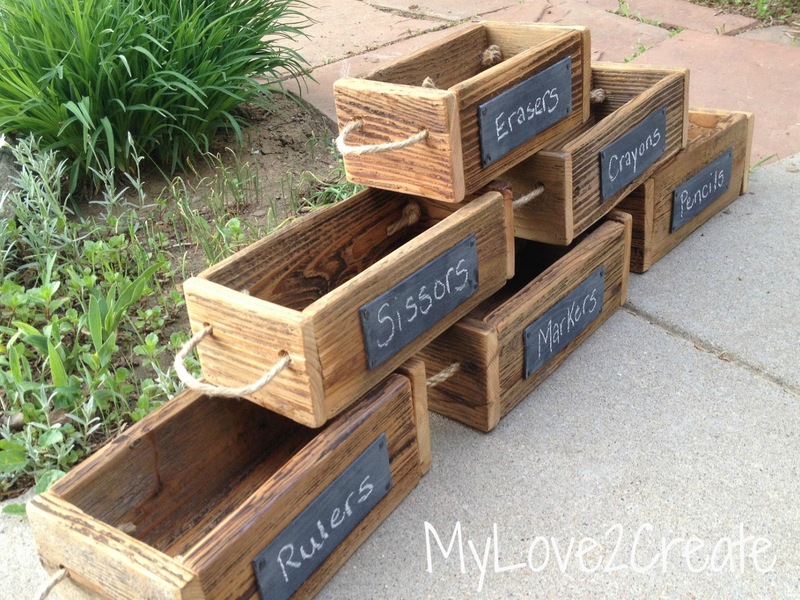 Some of you may remember when I posted my Reclaimed Fence Wood Crates. 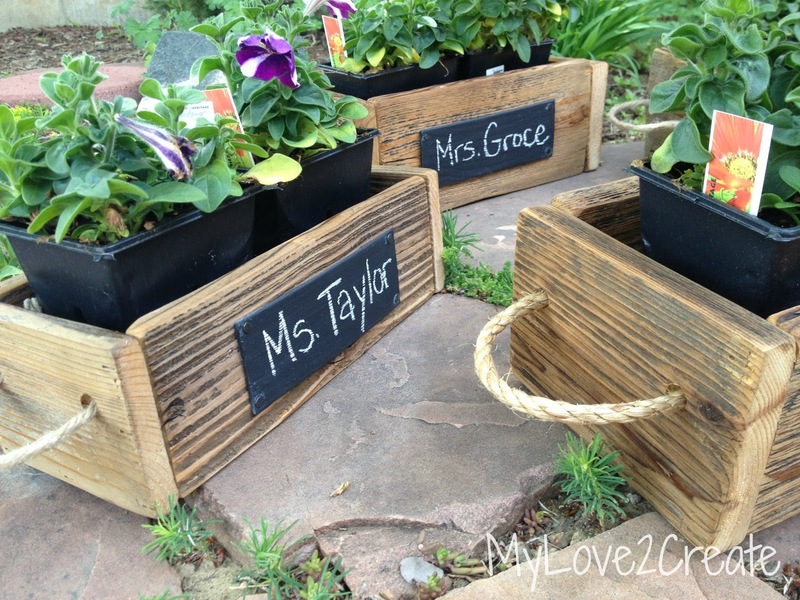 At the end of that post I had the idea to make crates for teacher gifts. 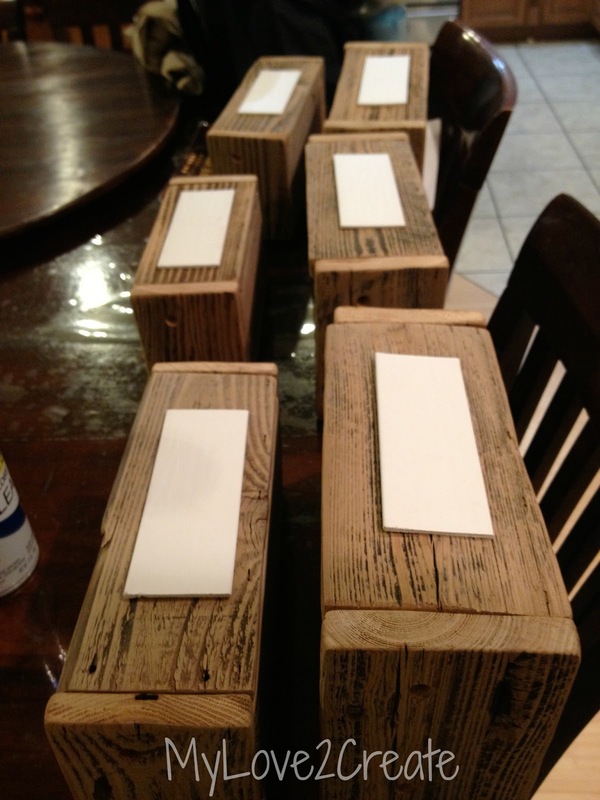 Well, this stash of fence wood was all used up on these gifts, I will have to get some more wood! The rest of the supplies I had on hand. Old fence wood and rope, both of which I got for free. Next we come to the cute chalkboard labels. They were blinds I got for free on craigslist. I have had these ends just sitting around and they were the perfect size. I have already repurposed these blinds Here and Here. I gave them three coats of chalkboard paint. Once they were dry I covered the whole surface with chalk then wiped it off. They were ready! I simply nailed them on the side of each crate with carpet tacks and I was done! School supplies anyone? Or craft supplies? Any kind of supplies? If you are new here then you might wonder why I didn't show you how to make the actual crate...well I have a few tutorials on my project page, just click on one of the crate links and most of them will show you how to make one. I warn you though.....making crates is very addicting! And I am a complete addict! It is good, because it makes people happy! If you don't have any blinds to repurpose into cute chalkboard board labels you can always repurpose something else, or just cut a thin piece of wood and use that! Oh, and I forgot! Come back Monday, I am going to share what I did for the school secretary. Simple but cute! These look a-MAH-zing! 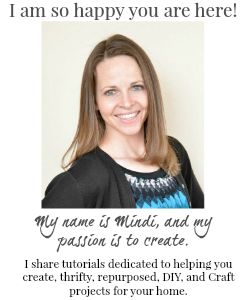 Oh Mindi, you never stop impressing me! Seriously...I think you're super cool! Mindi!!!! You did it again!!! 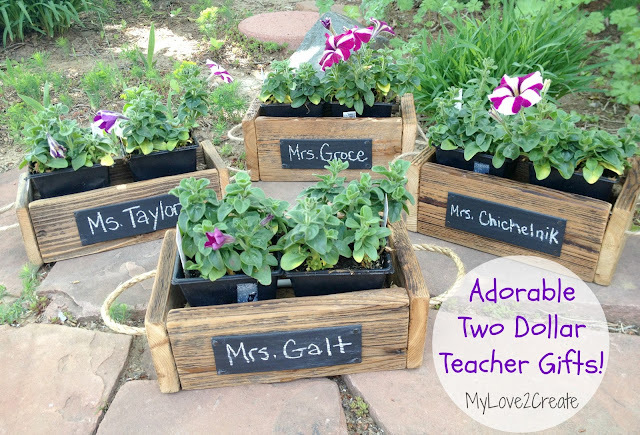 These are hands down the best teacher gifts I have ever seen! They are awesome!!! You could use them for so many things! If I was still teaching I would keep it on my desk facing out!!! Or I would use it for my reading group table....the possibilities are endless! Way to go and enjoy your vacation!! It sounds like a fun time!!! Ohhh I so wish my kids were STILL in school....what a great gift! Love the boxes and I can think of a few other ways I could use them..great idea! Fabulous idea! They are so cute and will actually get used :-) Thanks for the idea! 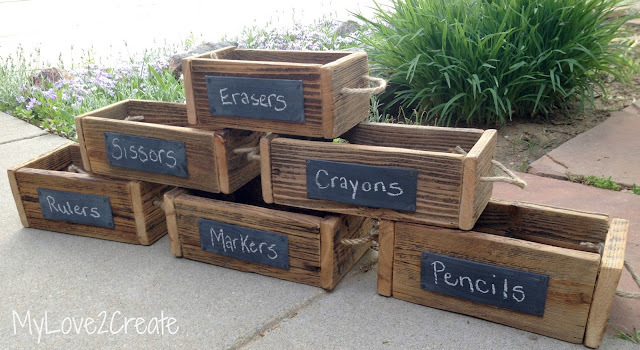 love the teacher crates Mindi! 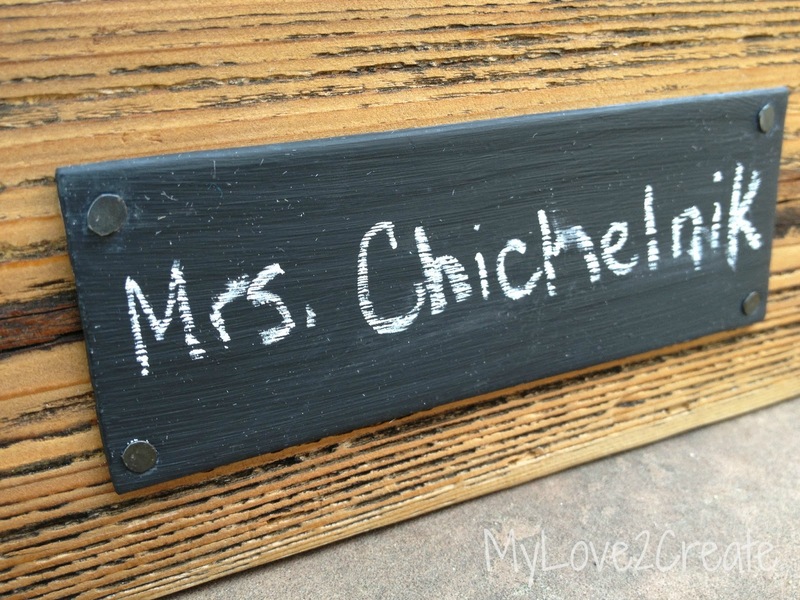 the rope handles are the icing on the cake as well as the adorable chalkboards. I would have been hard pressed to give these away, they're adorable! Thanks so much for sharing at Saturday Spotlight. Love these boxes! Thank you so much for linking up. 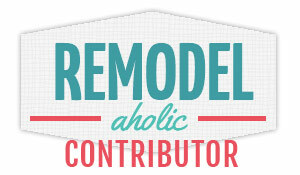 Hope to see more from you on my next linky party. These crates are just the cutest things!!! I'm addicted already and I haven't even made one yet! Cannot wait to do this! So glad I happened upon this post. Its a great example that we should use wood blinds in many work. We can use to send some one gift or for any other purpose as well. Wow! I want to be a teacher if you're giving those! Thanks for linking it up at Monday Funday! very very nice blog. love is very good feeling in true lover and gift is the way to look your love feeling. vashikaran to get lost love back is best way to improve your relationship. vashikaran mantra to get lost love back. Oh I love these, so pretty! 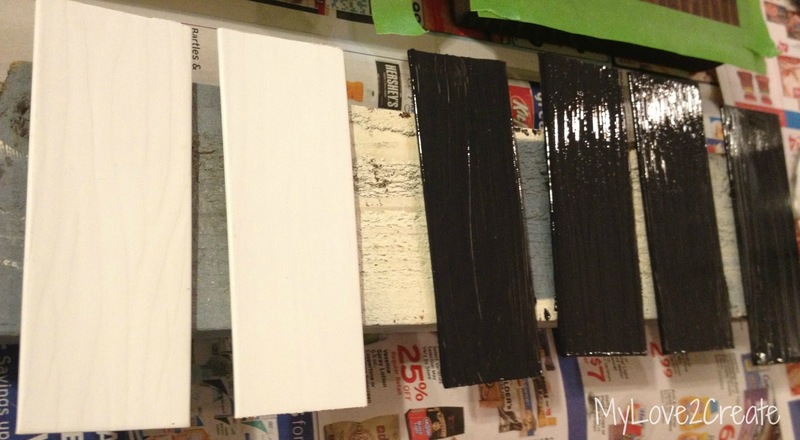 Love these kinds of projects made with reclaimed or upcycled materials! Thanks for stopping by the Outdoor Extravaganza!